News about the library and more! This term students will participate in activities designed to develop many Curricular Competencies for Applied Design, Skills and Technologies and the Core Competencies of Creative and Critical thinking, Communication and Personal and Social Responsibility. Students will focus on working as a team to learn how to code using Sphero robots. Throughout, students will be asked to reflect on their learning and how they are developing Curricular and Core Competencies. Our plan for this term is to learn the fundamentals of controlling the Sphero robot with block coding. They will learn how to code their robot to move in a square, change colour, make sounds, and more. 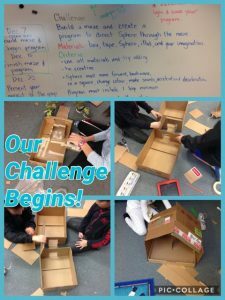 Next, students will be asked to design and create a cardboard maze for their robot to travel through. 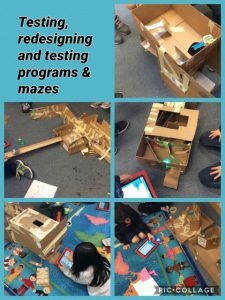 Then, students will create code to direct their Sphero through the maze. Finally, they will present their project to the group. 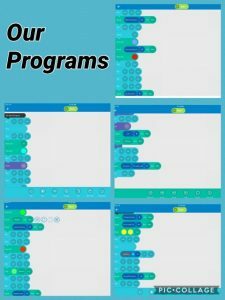 Here is some video of our final programs. Not all of us completely met all of the criteria, but we learned a lot, mostly from our mistakes. We worked well in our teams and shared the work. Many groups came in to work on their projects before school and at recess. 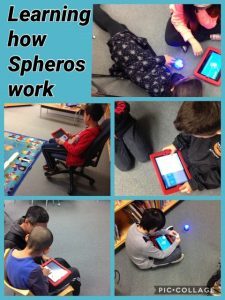 We had tons of fun learning, creating our stories and playing with the Spheros!